and visited him personally on board QE2." Our marketing services ranges from development of brand platform and execution of all creative (photography, copywriting, and printing), including brochures, one-sheets, direct mail, catalog, tradeshow materials and promotions, and signage. Our PR team will work with your existing marketing/advertising department/vendor not only to maximize marketing opportunities, but to create them. Private food label programs. We take you through the entire process: from original concept and recipe development to quality control, design, logo placement, manufacturing, marketing, and distribution. We analyze the viability of potential products in the current marketplace—such as hot sauce and salsa, spices, dressings, teas, condiments, sauces, and chocolate—and will identify and develop items that reflect your image and ideas. Whether it be creating a branded food product, an imprinted promotional premium, or branded item for the gift or golf shop, Food Sensation can provide the sourcing, the creativity, and the execution as a brand building, revenue-generating program. We develop, write, theme and design, and work with you and the publisher to produce a corporate or product cookbook that reflects your company’s individuality, originality and brand excellence. An outstanding vehicle with terrific potential for publicity, merchandising and incremental revenue, it also delivers value proposition in the realm of customer loyalty and relationship marketing. We Work in Tandem With Our Clients planning and execution. Our extensive resources and expertise in event design and logistics is far-reaching, crossing through to global markets. 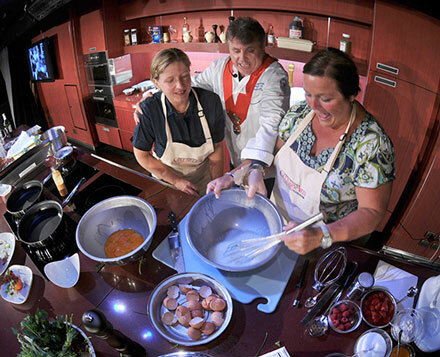 Food festivals, chef summits and culinary seminars of all size are all well within the realm of possibility. These events create buzz which have high promotional value, can create business during slow times and go a long way to building the profile of a culinary brand. We provide a full list of concepts, plan all the menu and service details, extend invites to other prominent chefs for participation as well as to the food and lifestyle media. We are on hand for each event to provide supervision, inspiration, and motivational enthusiasm for kitchen and serving crews.